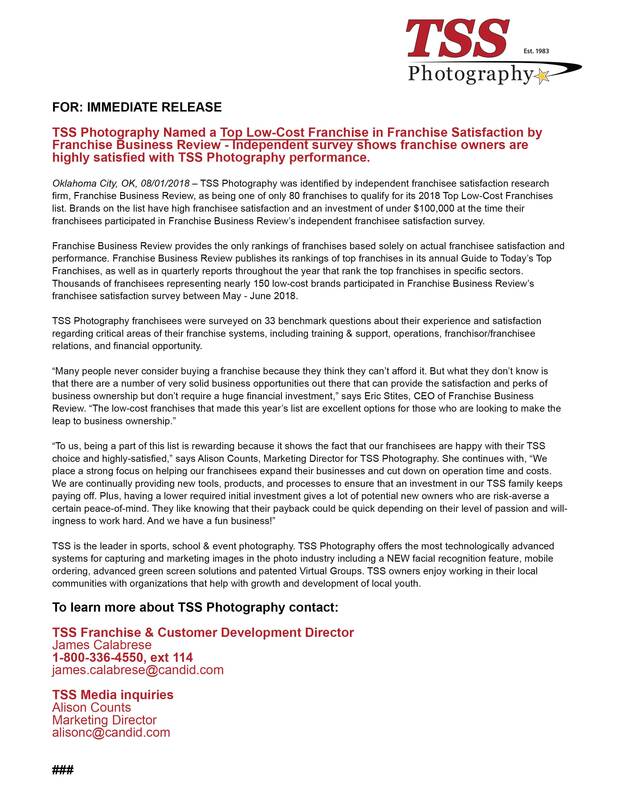 Oklahoma City, OK, 08/01/2018 – TSS Photography was identified by independent franchisee satisfaction research firm, Franchise Business Review, as being one of only 80 franchises to qualify for its 2018 Top Low-Cost Franchises list. Brands on the list had to have high franchisee satisfaction and an investment of under $100,000 at the time their franchisees participated in Franchise Business Review’s franchisee satisfaction survey. 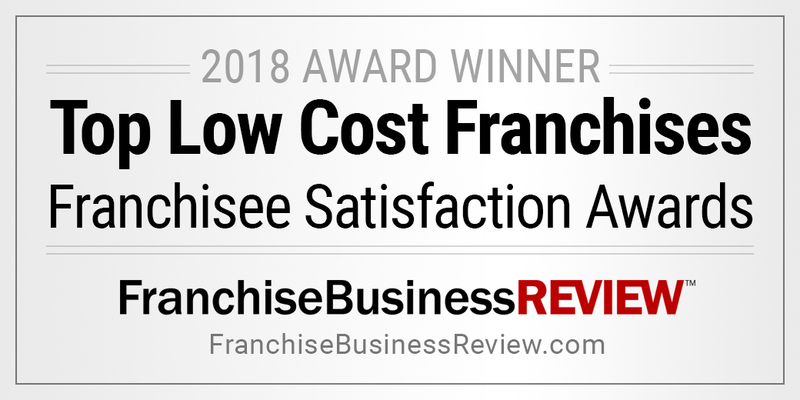 Franchise Business Review provides the only rankings of franchises based solely on actual franchisee satisfaction and performance. Franchise Business Review publishes its rankings of top franchises in its annual Guide to Today’s Top Franchises, as well as in quarterly reports throughout the year that rank the top franchises in specific sectors. Thousands of franchisees representing nearly 150 low-cost brands participated in Franchise Business Review’s franchisee satisfaction survey between November 2018 and May 2018. TSS Photography franchisees were surveyed on 33 benchmark questions about their experience and satisfaction regarding critical areas of their franchise systems, including training & support, operations, franchisor/franchisee relations, and financial opportunity. TSS is the leader in sports, school & event photography. TSS Photography offers the most technologically advanced systems for capturing and marketing images in the photo industry including a NEW facial recognition feature, mobile ordering, advanced green screen solutions and patented Virtual Groups. TSS owners enjoy working in their local communities with organizations that help with growth and development of local youth.